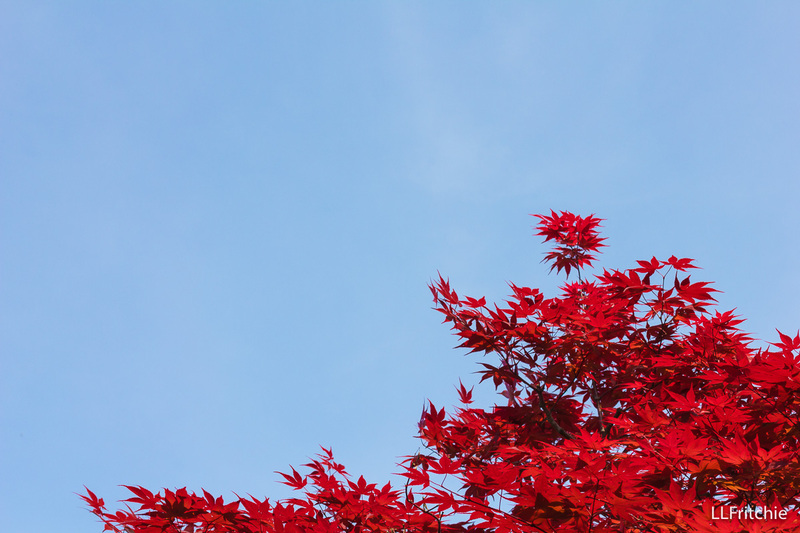 “Red Maple” from the series Journey through Color in Japan (2017) by Louise Lystig Fritchie. Used by permission. All rights reserved. and by appointment with Louise. Sunday, June 11, 2017 from 1 to 3 p.m.
For comprehensive directions, please visit the University Lutheran Church Map and Directions page. Photographs of nature, traditional architecture, and a few faces as found outdoors through the seasons portray the beauty of Japan. Images are sequenced by similarity in dominant colors, beginning with red and continuing through the spectrum. A caption accompanies each image, providing location, date, and time, as well as related facts and personal experience. Louise Lystig Fritchie captured these images while living in Tokyo for three years, traveling through Japan then and making visits before and after, spanning the years 2012-17. She holds an M.F.A. in multimedia design from the University of Minnesota and taught there for ten years, including courses on color, digital imagery, and interface design. Please enjoy the fruits of waiting. Louise made the majority of the images with a Canon EOS Rebel T2i digital SLR camera using a Canon EF-S 15-85mm, EF-S 55-250mm, or EF 50mm lens. The other images she made with a Sony Alpha a7 II mirrorless digital camera using a Sony FE 28-70mm or 90mm lens. The photographs were printed with archival quality inks and paper – specifically, an Epson Stylus Pro 9890 printer using Ultrachrome K3 with Vivid Magenta inks on Epson Hot Press Natural paper. The prints were flush mounted on foam core at ¾-inch depth. Bamboo bands the sides. Keyhole hangers are in back. Outer dimensions are 9-¾ by 14-¾ inches, vertical and horizontal orientations. Most of the pieces are available for purchase. Please contact Louise for details. A portion of the proceeds will go to the Harvard Square Homeless Shelter, a student-run homeless shelter housed on the lower level of University Lutheran Church.